1/07 MS Faith Formation | January Week 1: THE BIBLE Part 1 The goal of this night was for the youth to learn about how the Bible was written and how to approach Scripture with care and reverence. We focused mostly on the format of the bible and where books are located to practice looking up passages. 1/18 MS Youth Night • Winter Olympic style! We formed 6 teams led by our coaches (College/High School Leaders) representing the countries of Canada, France, Germany, Japan, Mexico, Russia, and USA. Team Russia placed #1. Great job to everyone! Next Youth Night will be Friday, February 22nd! 1/28 MS Faith Formation | January Week 2: THE BIBLE Part 2 The goal of this night was for the middle school youth to identify the covenants in the Old Testament that God made with His people (Adam & Eve, Noah, Abraham, Moses and David) and what it means to be a part of His family. God did not simply create the world and then step back and watch. Instead, God wants to be in relationship with His people. When God established relationships in the Old Testament, He did it by making a covenant with His people. A covenant is not just a promise or a contract that can be easily broken; God’s covenants are eternal. Each small group got to create their own board game based on the 5 Old Testament Covenants. Everyone is welcome to attend our next Worship Night coming up Tuesday, February 12th 7:00-8:00pm in the Church. Join us for praise, worship, and adoration. All ages are invited! Middle School Youth Day (MSYD) is an event geared towards 6-8th graders from different parishes throughout the Diocese of Orange. There will be worship, prayer, games, mass, topics, and speakers. All 6-8th graders are invited to join our youth night February 18th 7:00-8:30pm. Parents, please come to volunteer. 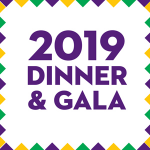 Holy Trinity’s annual Dinner & Gala will be held on February 23rd, 2019 at Coto de Caza Golf & Racquet Club. Doors open at 5:30pm. Attire: Dressy Casual. All parishioners are invited to attend. June 19 Wednesday 10:00am to June 20 Thursday 12:00pm at Santiago Retreat Center in Silverado, CA. Contact Chentel for more information. MS Parent & Youth Night will be Friday, March 22nd 7:00-8:30pm. The registration calendar states "Parent Lenten Reflection", but we will instead have parents and youth come for a night of reflection followed by games & fellowship. It will be a great night of fun & faith! What is the Parent Team? The Parent Team is something new we are starting for Middle School Ministry at Holy Trinity. This team of parents helps by providing insights and support for the overall benefit of youth and families, plan and implement activities, as well as other opportunities to build our Middle School Ministry together. We will meet in person quarterly along with e-mail communication throughout the year. Have a child in High School? Check out our High School Newsletter HERE.